Oppo has unveiled a new flagship smartphone named Reno, as successor the the Find X released last year. This new offering from the company comes with a notchless display and an unsual selfie camera pop-up design. The phone also comes with a 10x optical zoom to breathe life into your pictures and videos. Speaking of the specifications, the Reno phone comes in two variations – A 6.4-inch OLED screen, a Snapdragon 710 processor, and a secondary ultrawide camera and another with 6.6-inch display, a Snapdragon 855 and a 10x optical zoom for the third camera. Apart from this, the phone also comes with VOOC 3.0 fast charging an NFC functionality. 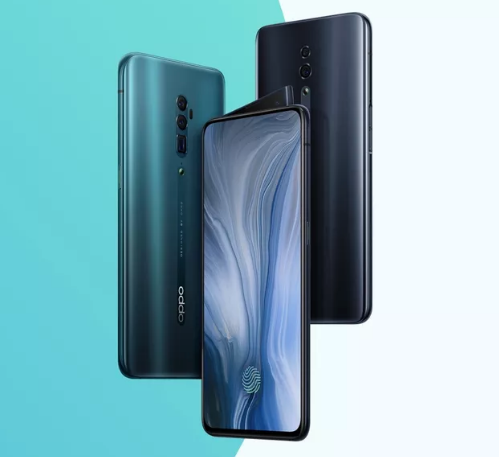 The company announced that it will be launching the Reno phone globally on the 24th of April and the device will come in the colors of Extreme Midnight Black, Nebula Purple, Fog Sea Green and Mist Powder.